Eltronicschool. - This is one of the flip-flop conversion principles for you who want to know how to convert SR flip-flop to JK flip-flop in this time. 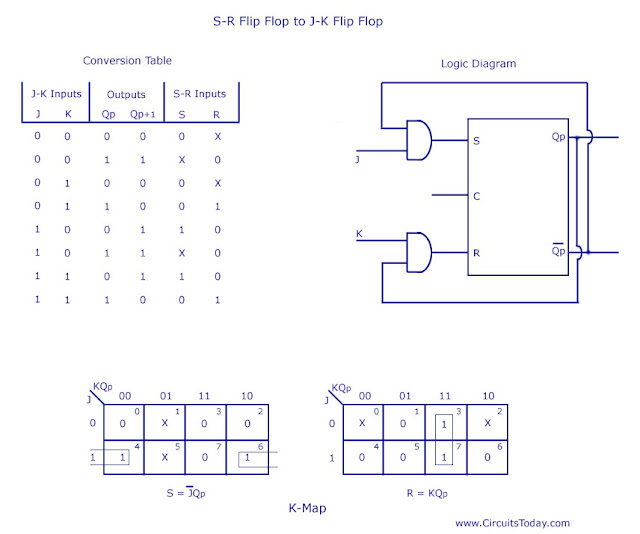 Accordingly Circuitstoday blog desccribe that for the conversion of one flip flop to another, a combinational circuit has to be designed first. As told earlier, J and K will be given as external inputs to S and R. As shown in the logic diagram below, S and R will be the outputs of the combinational circuit.